Vasaloppet 2019 offered solo victories in both the men’s and women’s class. Norwegian Tore Bjørset Berdal broke away with barely five kilometres left and could hold his ground for a victory in the men’s class and Britta Johansson Norgren won the ladies’ class after having been alone in the lead for almost the whole race. Preliminary figures show that 14,711 participants started yesterday in the 95th Vasaoppet in Sälen. The 2019 Vasaloppet offered continuous steady snowfall and really slow tracks. For the most part it seemed as though the men’s class would be decided in a spurt on the finishing stretch but the Norwegian Team Koteng had other ideas. Last year the same Tore Bjørset Berdal was alone in the lead over the final 10 kilometres but he was caught up to at about the same place that he today made his breakaway push. Tore Bjørseth Berdal, 31 years old Norwegian. It was planned that we should push before the finish but not exactly where. How did you plan your break away? He got us skiers together and told us where we should be, “you should be in this track and you should be in that”, then he said to me “Tore, go now”. Berdal about his team leader Dahl. The rival competitors were impressed that Berdal managed to get such a big gap so quickly. I just went all in. It was all or nothing! I didn’t know how near they were towards the end because I didn’t dare to turn and look. The first time I turned and looked was when I saw the Kranskulla. I was uncertain whether I could take the wreath or not. There’s a World Championship in Seefeld right now which is the biggest for World Cup skiers. Vasaloppet is the biggest you can win when you’re a cross-country skier. It feels totally wonderful! I was a little further back in the group when Berdal broke away. I thought it would be a big group spurt, and so did most of us. It was impressive teamwork by Koteng. They were quite simply better than us. 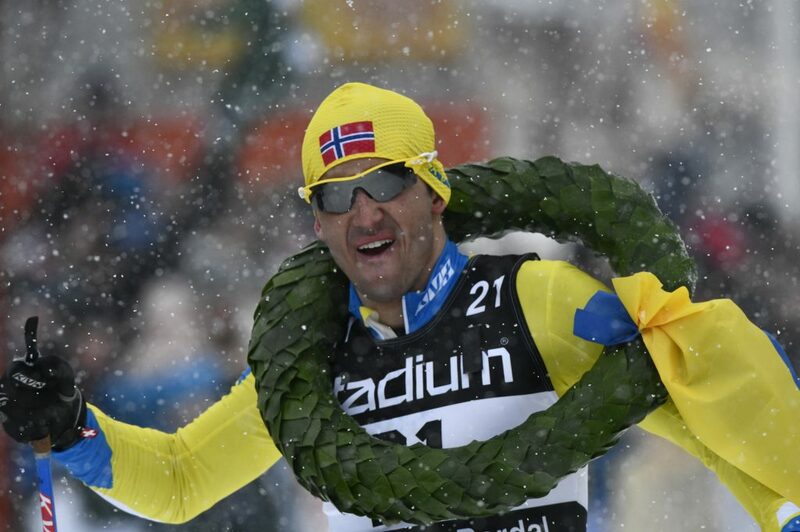 Oskar Kardin, best Swede on 9th place. After perhaps 18 kilometres I noticed that the best lads began to move forward a bit. Many of the good names began to search their way up so I also pushed myself hard. That probably made it for me today. When it was a long line after Risberg I had a very good position. Britta Johansson Norgren, Vasaloppet winner 2019. It was unbelievably tough today. I have been extremely tired right since Evertsberg. It was a real struggle, but it’s even more fun when things go the right way. I don’t usually feel I’m facing a wall but today I felt that there was a risk that I’d be parked there with 20 kilometres remaining! But when one is in good form it’s possible to keep on the right side of the line. Norgren about the snowy slow conditions.